37th Monthly Technical Session (MTS) was held on August 25th, 2017. MTS is a knowledge sharing event, in which HDE members present some topics and have QA sessions, both in English. The moderator of the 37th MTS was David-san. 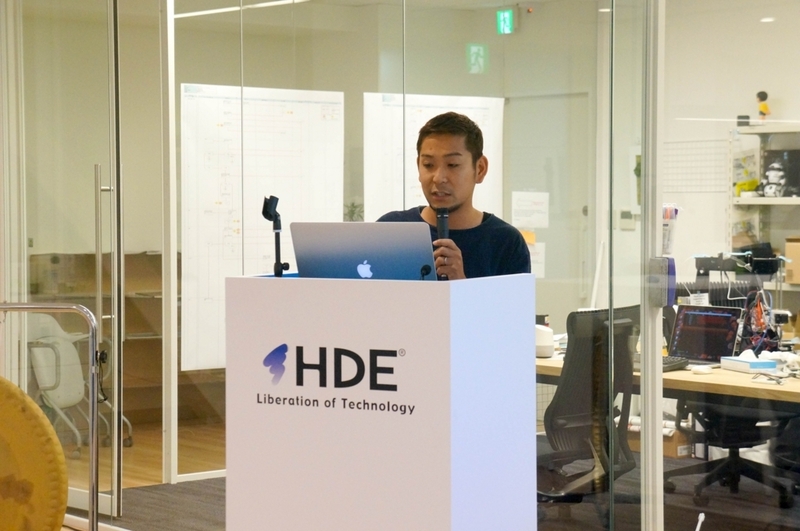 The first topic was "AWS Service Update Summary 2017 Q2+ (April - August)" by Mitsuharu Hamba-san from AWS. He began by sharing information on new regions. A new AWS Region in Paris will be opened in 2017. Another new AWS Region in Stockholm will be opened in 2018. AWS will also open a new region in Osaka in 2018. According to Hamba-san, Osaka will be a local region. 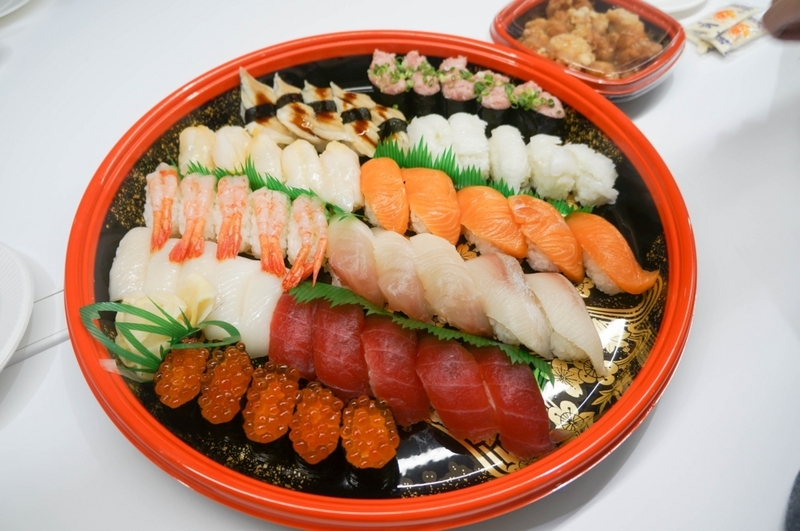 It is assumed to be used in combination with Tokyo region. Some existing services had also been made available for Tokyo region in the last 4 months. First is Amazon EC2 P2 instances, which are ideal for compute-intensive applications that require high-performance GPU coprocessors and massive parallel floating point performance. Next is Amazon Lightsail, which helps the launch and management of virtual private servers. In the case of AWS X-Ray, it had moved from preview to general availability. There are so many updates to existing services. Detailed, well-written information on them are readily available at the AWS Blog. 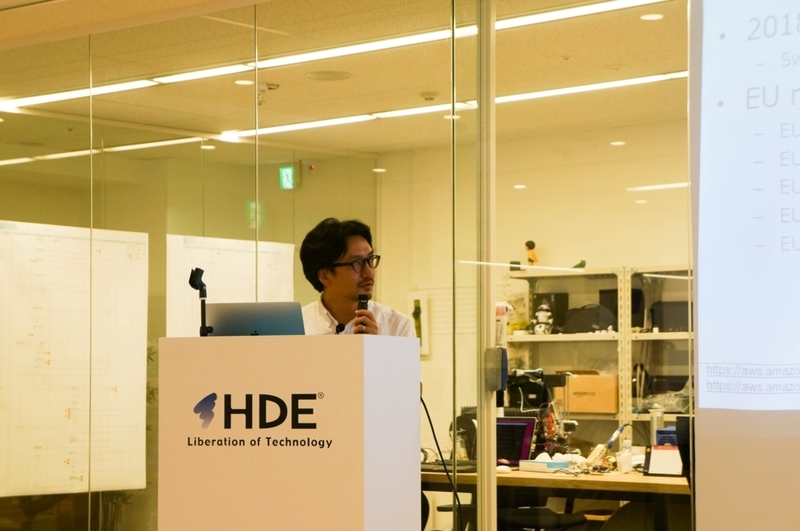 The second topic was an explanation of the data collection flow of our company's data warehouse project by Kogure-san. This project that he has been working on is very important in enabling data visualization and environment analysis. This project consists of several steps, but in this session he focused on explaining the first one, which is building data collection flow. 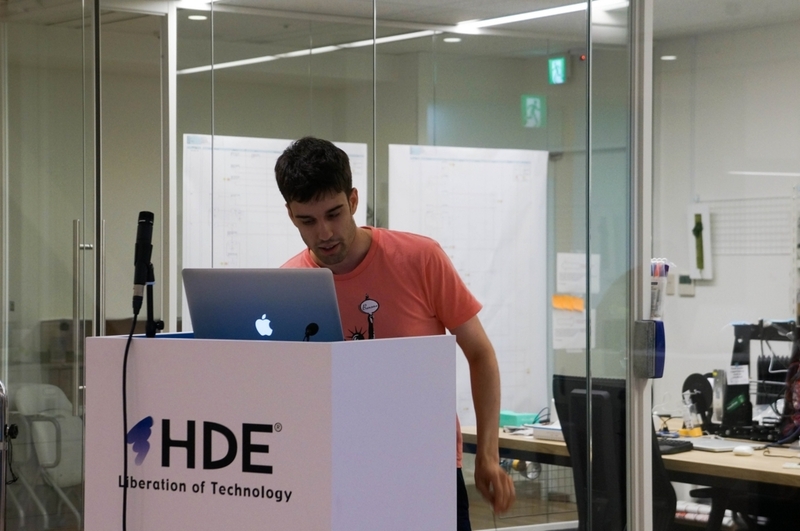 This data warehouse project collects HDE One services data. Each HDE One service has their own data collection flow. Kogure-san explained all of the completed ones. He showed the architectures and reported the number of records of each data collection flow. Now that Amazon Kinesis Firehose is available in the Tokyo region, he would like to utilize it to improve his current designs. The third topic was "How to Find DMARC Failure" by Okubo-san. 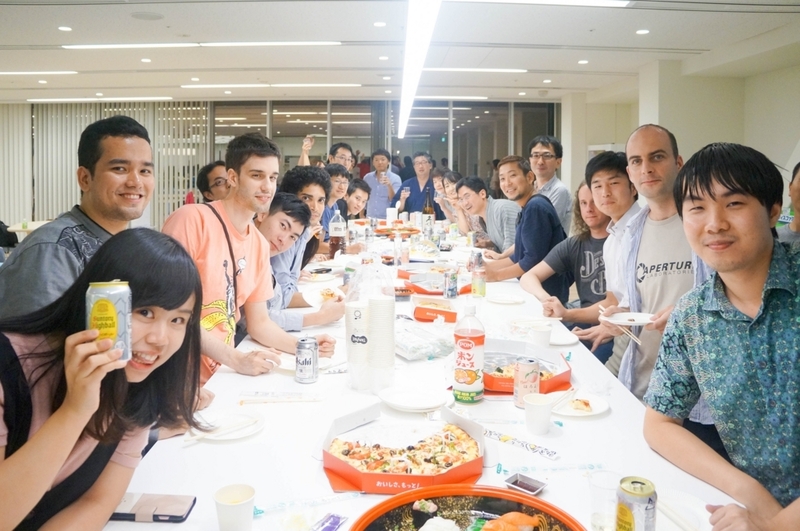 Okubo-san has been teaching us about DMARC for some time now, presenting topics about it on the 26th and 27th MTS. He also wrote an article about it on this blog. 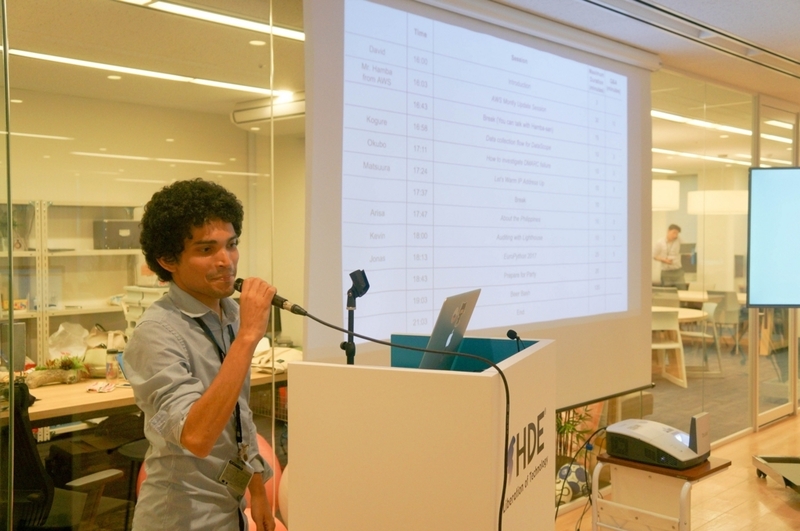 This time, he explained a project he's working on which monitors and visualizes DMARC reports. Brief review: DMARC is an email authentication, policy, and reporting protocol. Its authentication is based on SPF and DKIM. ISPs provide DMARC reports for email senders. If a DMARC record includes rua parameter, then DMARC reports can be received via email. However, DMARC reports are XML files, so they are not exactly human-readable. Okubo-san's project summarizes and presents DMARC reports so that they are easier to understand. Some of its features include identifying DKIM and SPF results and showing WHOIS information. 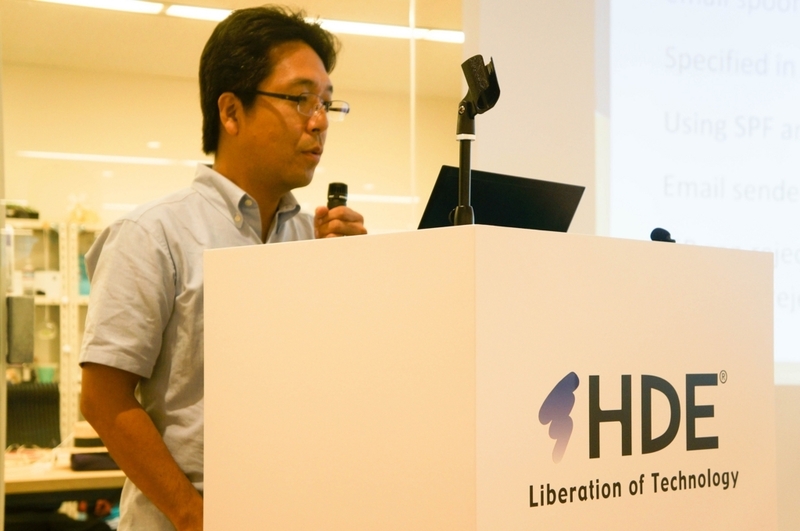 The fourth topic was "Let's Warm up IP Addresses" by Matsuura-san. IP reputation is very important for message transfer agents (MTAs). Sending email, especially lots of them, from a brand new IP address is not advantageous. The spike of volume of emails sent from an IP address may result in it getting a bad reputation. Emails sent from an IP address with bad reputation will likely fail to reach their destinations. One way to solve this is by warming up IP addresses, gradually increasing the volume of emails sent from IP addresses according to a predetermined schedule. Matsuura-san explained some problems of warming up IP addresses to make them work with Office 365. The first problem is receiving limits, which is the number of emails that can be received per hour. The limits are considerably less than his target, so he utilized shared mailboxes to receive more emails. The second problem is the opacity of Office 365's IP throttling methods. This is solved by warming IP addresses for several weeks, and stop increasing volume of emails sent for a few days whenever an IP address was throttled. 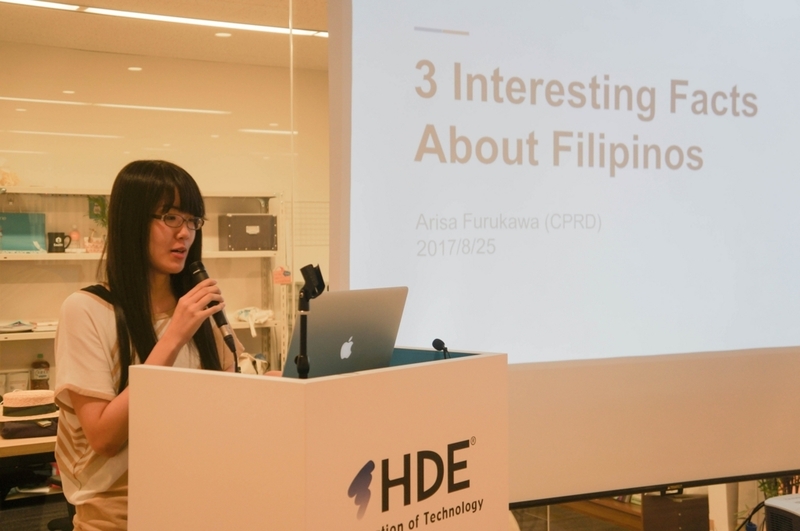 The fifth topic was "3 Interesting Facts about Filipinos" by Furukawa-san. She had been learning English in Cebu, Philippines, for almost 4 months. She told us some facts that are interesting to her. First, Filipinos seem to love karaoke so much. She saw people singing while walking on the streets and restaurant and shop staffs singing while working. There seem to be many karaoke shops and machines in the Philippines, as she showed some pictures of them. Second, Filipinos seem to love to take selfies. When Furukawa-san went to tourist attractions with her Filipino teachers, they spent 1 to 2 hours taking selfies. TIME magazine awarded Makati City, Philippines, as the Selfie Capital of the World. Third, Filipinos celebrate Christmas for 4 months. Christmas season starts from September to December, the so-called 'Ber Months'. Most Filipinos are Christians, and Filipinos seem to love celebrations. When September comes, Filipinos decorate their houses and shops, and Christmas songs can be heard in many places. 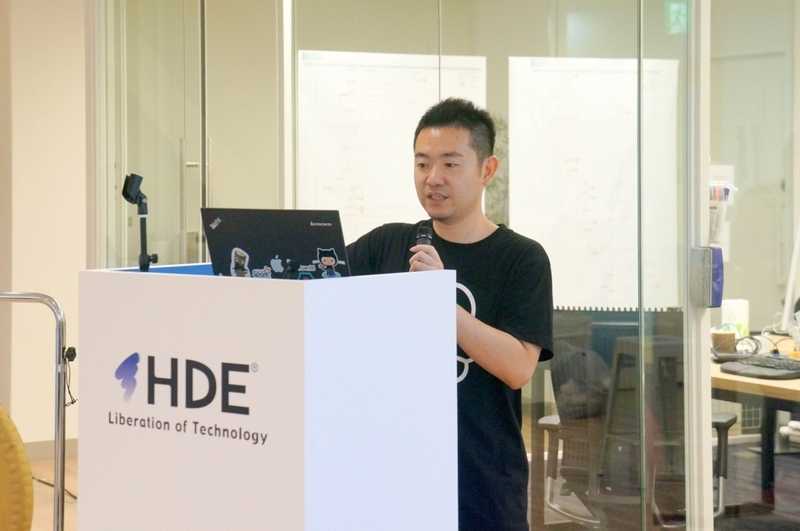 The sixth topic was "Auditing with Lighthouse" by Kevin-san. Lighthouse is an open-source, automated tool for improving the quality of web pages. It analyzes web apps and web pages, collecting modern performance metrics and insights on developer best practices. It has been a part of Chrome DevTools since Chrome 60. So perhaps the simplest way to check it out is to update to Chrome 60 and click on Chrome DevTools' Audits toolbar. Lighthouse scores 4 categories: Progressive Web App, Performance, Accessibility, and Best Practices. Progressive Web App audit checks whether a site or app is interactive online. Performance audit refreshes a site or app with the new 'Slow 3G' network throttle. Accessibility audit checks for ARIA roles, uses aXe. Best practices audit checks for manifest.json files, checks for passive event listeners, etc. 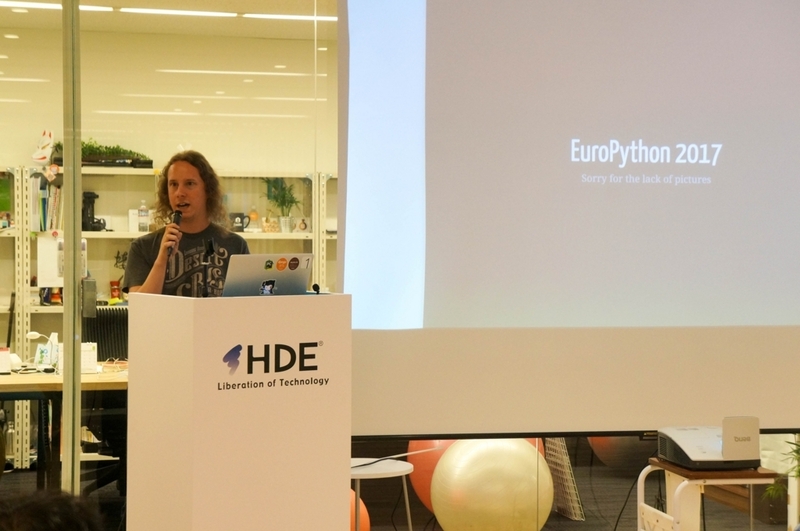 The seventh topic was "EuroPython 2017" by Jonas-san. EuroPython 2017 was held from 9th until 16th July, 2017, in Rimini, Italy. It was organized by the European Python Society with the help of 25 sponsors, attended by more than 1000 people. In Jonas' opinion, when compared to PyCon US, EuroPython is a lot smaller, a lot less commercial, a lot less professional, but a lot more enjoyable. Some of the talks that Jonas found interesting includes "A Python for Future Generations" by Armin Ronacher; "Making Games with Python: Mission Impossible?" by Tomislav Uzelac, Martin Christen, and Roberto De Ioris; "Fighting the Controls: Tragedy and Madness for Programmers and Pilots" by Daniele Procida; "PyPy Meets Python 3 and NumPy" by Armin Rigo; and "The Encounter: Python's Adventures in Africa" by Daniele Procida and Aisha Bello. Jonas himself had a talk, titled "Why You Might Want to Go Async". Besides talks, EuroPython also had social events, sprints (gathering in a room developing anything), and a hallway track.